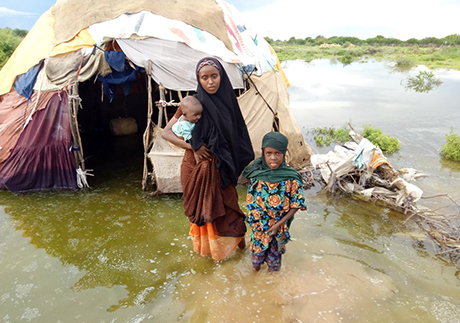 Families who have been devastated by four years of severe drought in Somalia are suffering from an ironic weather event. 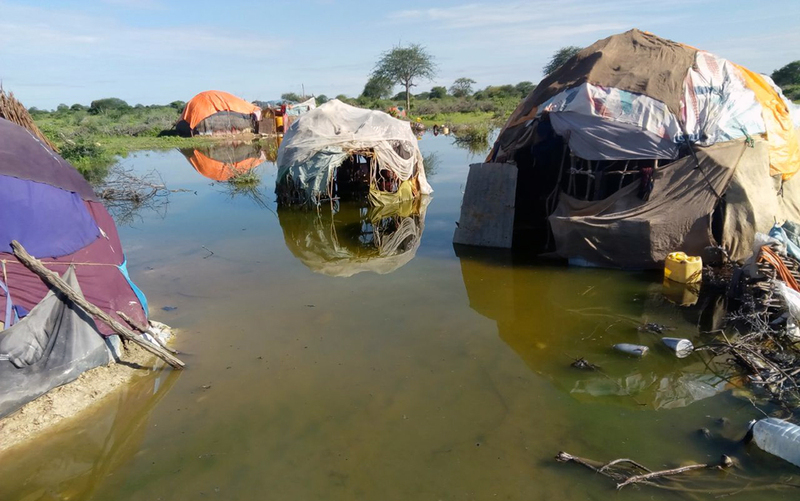 At the end of April, flash floods swept through parts of Somalia and washed away or flooded makeshift homes of families who had already been displaced after losing their livestock from drought. Mercy-USA for Aid and Development’s field teams, already stationed in the regions hard hit by the floods were first responders as they helped families relocate to higher ground for safety. 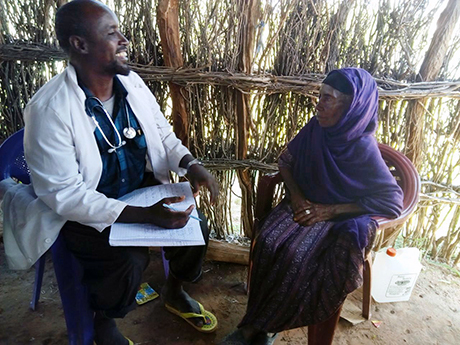 Our teams then provided emergency medical response to prevent waterborne diseases such as diarrhea and cholera by performing medical screenings, dispensing water purification tablets and other support. Emergency household kits are being dispatched to families who lost their belongings and temporary shelters to the flooding in Somalia and areas affected in Kenya. You can help Zamzam’s family and thousands more like her. Please give today.